Our Co-Producer's acclaimed new book, A Feathered River Across the Sky, is now in its 3rd hardcover printing. More on Joel at right. 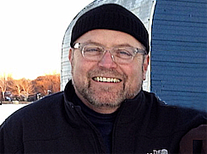 David Mrazek is a documentary filmmaker and web-based media producer. He has produced award-winning, nationally broadcast PBS documentaries on topics ranging from the Hamilton/Burr duel, Woodrow Wilson, and the unseen microbial world. 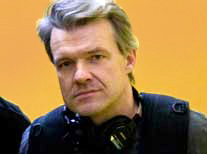 Most recently Mrazek co-directed The Principal Story, which aired on the PBS documentary series, P.O.V., fall of 2009. To view David Mrazek's website, click here. 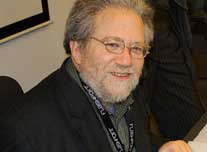 Joel Greenberg is a consultant and writer specializing in natural history and has authored numerous books, including A Natural History of the Chicago Region (2002, University of Chicago Press). He has just released A Feathered River Across the Sky: The Passenger Pigeon's Flight to Extinction, the first history of the passenger pigeon in 50 years, published by Bloomsbury USA (See upper left of this page). Joel is the recipient of several awards for his environmental protection work. Trained as a painter and illustrator, Larry Phillippe has been working in communications and independent filmmaking for 20+ years, applying these skills as a videographer, editor, and producer/director. He has worked on projects for A&E, Criterion Collection, Discovery Channel, History Channel, Home Vision Entertainment and Janus Films. For the past eight years, Michael Glascott has served as Art Director for Soundstage, the nationally broadcast high-definition music venue shot for PBS. 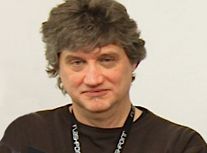 For 30 years, Michael has worked with many Chicago facilities for corporate, commercial and gaming production, in both traditional and digital media for print, illustration, design, multi-media and broadcast animation.